Even cynical DC Films critics can appreciate this lovely and brightly colored movie poster for Patty Jenkins' 'Wonder Woman' film. 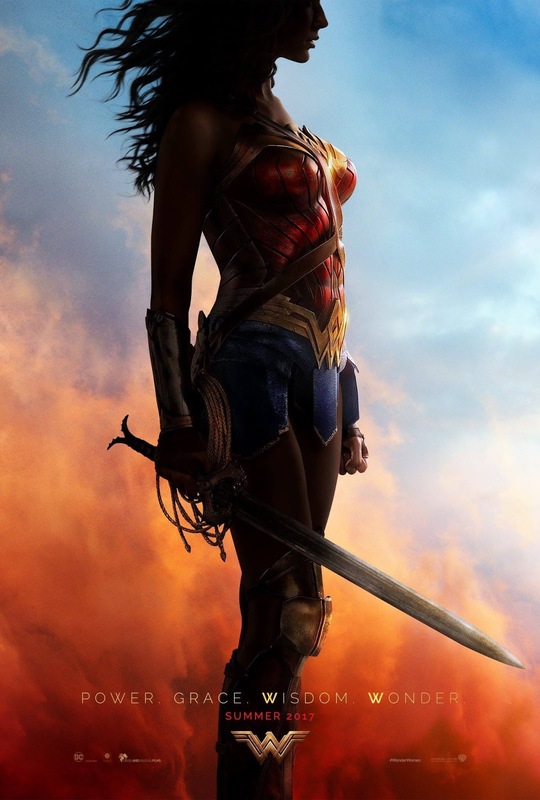 Diana Prince herself Gal Gadot took to twitter to drop the print that features her in semi-silhouette exposing the colors of her costume in front of a blue sky amid a plume of orange dust while holding a mighty sword. Power. Grace. Wisdom. Wonder. 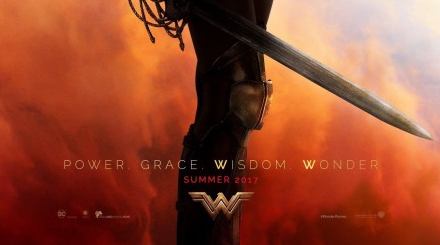 These words make up the tagline in this colorful teaser poster ahead of the Wonder Woman 75th-anniversary panel that will take place on Saturday, July 23 at the San Diego Comin-Con featuring Gadot, Jenkins, DC Comics co-publisher Jim Lee and artist Nicola Scott as panelists.We're likely to get a movie trailer as well and if last year's Comic-Con was any indication we could see it go online soon after. After making her debut in this year's 'Batman V Superman: Dawn of Justice,' Gadot will reprise her role as the Amazon princess in her own film debuting next year. It also stars Chris Pine, Connie Nielsen, Robin Wright, David Thewlis, Danny Huston, Elena Anaya, Ewen Bremner and Saïd Taghmaoui.